Tis the season to dust off your sparkly dresses and go all out festive glam. Christmas party makeup season is upon us and the Vanity van team are here to help with some amazing diy festive glamour make up tips. For extra sparkle, dab some gold glitter on the inner corners of the eye and on the centre of your pout! Finish with lashings of mascara for super gilded glam. 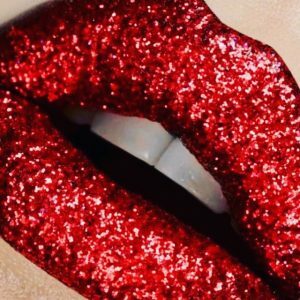 Apply your base make up first- glitter lips should be the last product on your face. Lastly apply a lip seal such as lipcote over the whole lip to ensure your glitter lips are drink, kiss and party proof. Bedazzled eyes and embellished cheekbones take the Christmas party makeup glitz up a notch. 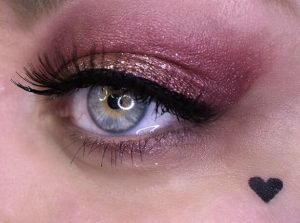 Tip – to make the glitz stand out keep your eye make up uncomplicated.